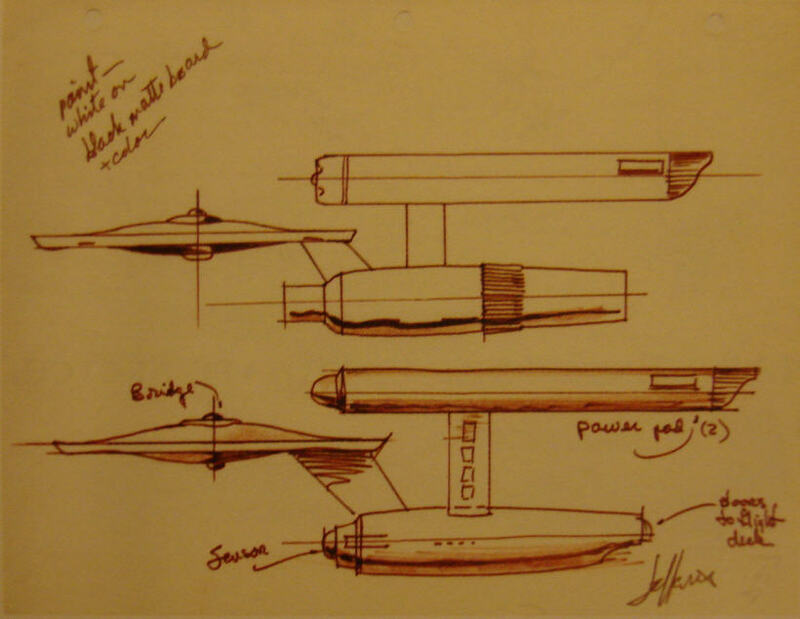 Walter "Matt" Jefferies was the extraordinarily talented artist and visionary who served as the Art Director and Production Designer for Star Trek: The Original Series. 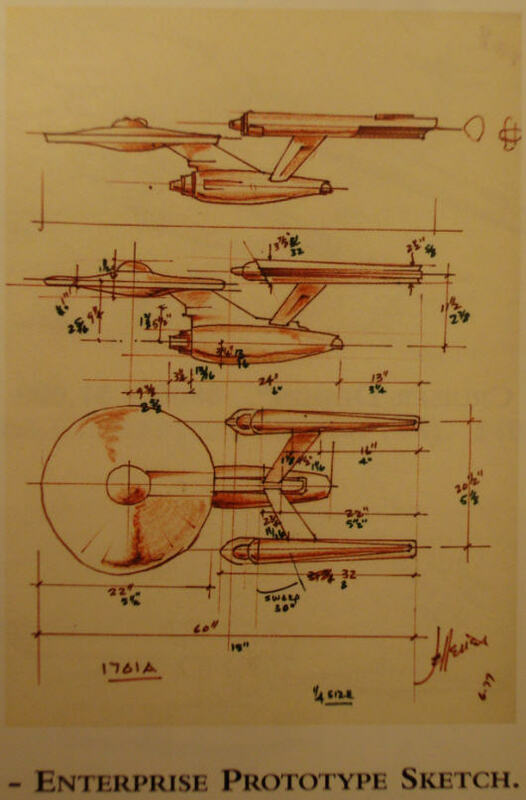 He is best known as the creator of the U.S.S. 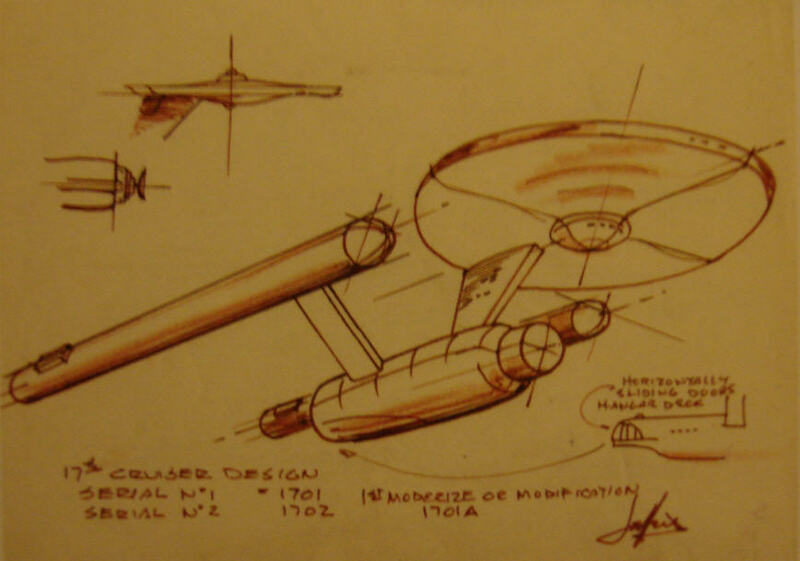 Enterprise starship design - perhaps the most instantly recognized symbol of Star Trek around the world and celebrated by many millions, if not many tens of millions of admirers for its graceful and majestic lines. 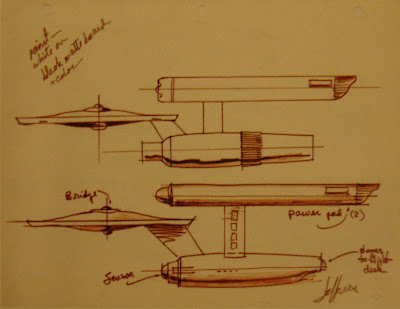 Yet Mr. Jefferies creative genius was responsible for much more than the appearance of the U.S.S. 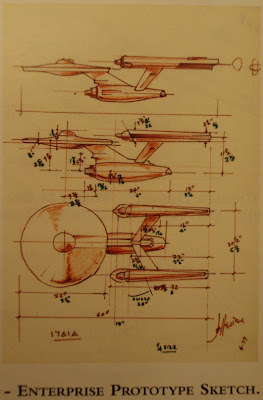 Enterprise; he also designed the Bridge layout of the Constitution-Class Starship (which inspired the design of the U.S. Navy master communications center at NAS San Diego) and is also the creator of the phaser, the Klingon Battlecruiser, the interior appearance of the Shuttlecraft, as well as many of the Enterprise's interior sets such as Engineering, Sickbay, and Captain Kirk's Quarters. 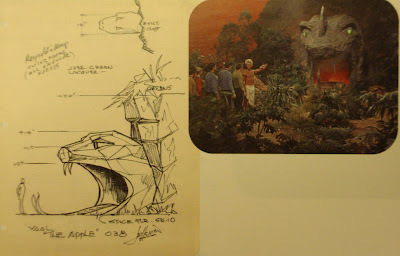 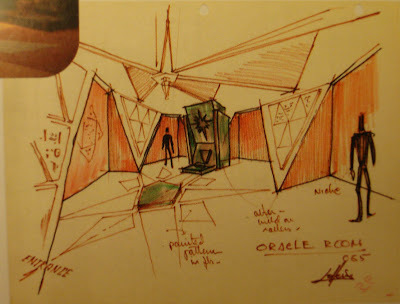 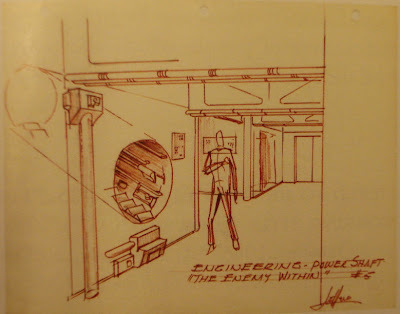 Jefferies worked closely with the writers of the different TOS episodes and designed sets to represent the interiors of alien structures as well as the surface of alien planets; and succeeded tremendously to both inspire the viewer's imagination and serve the functional requirements of the storyline. 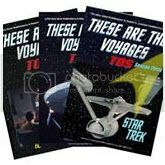 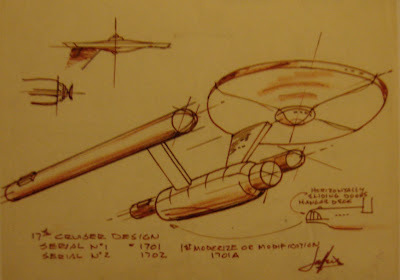 It is not unreasonable to conclude that much of the look and feel of the Star Trek TOS universe is a result of the creative talent of Matt Jefferies; and these designs served as the foundation for all that followed. 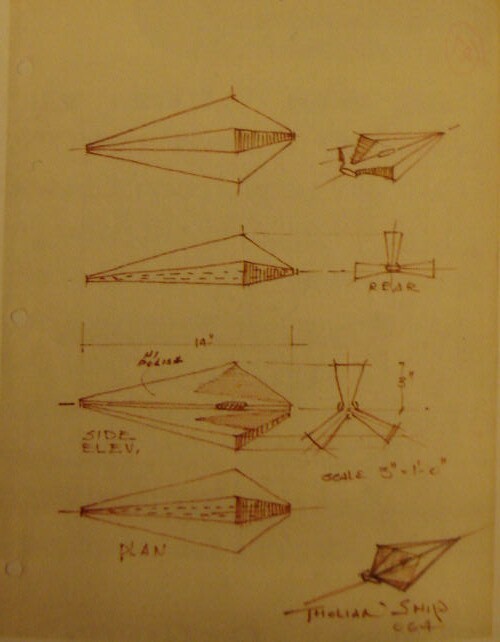 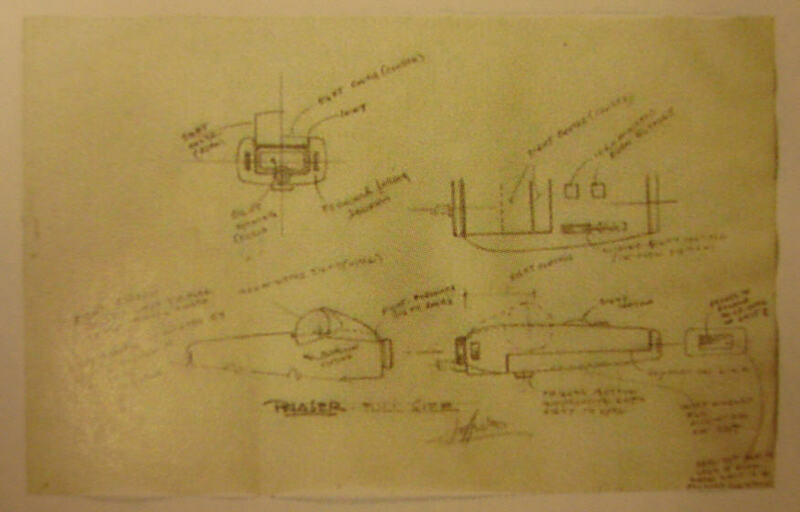 Jefferies personal experience as a skilled aviator (having flown B-17s in World War II) influenced his decision to incorporate real aircraft switches and lights on many of the Enterprise's control panels in addition to the resin components; and it was the Los Angeles model shop of Volmer Jensen - an aviation colleague of Jefferies, that constructed the 11 foot filming model of the U.S.S. 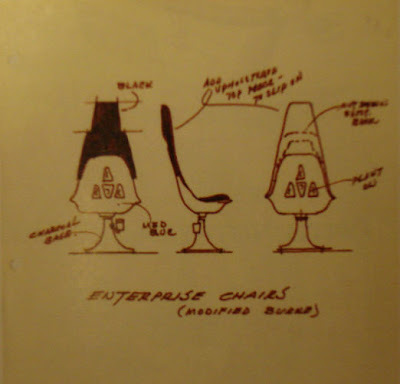 Enterprise which is currently on display at the Smithsonian. 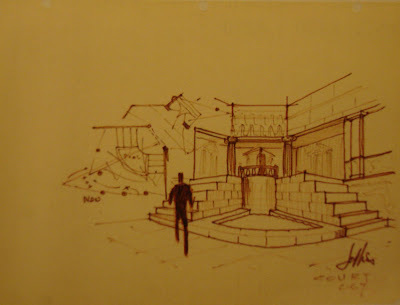 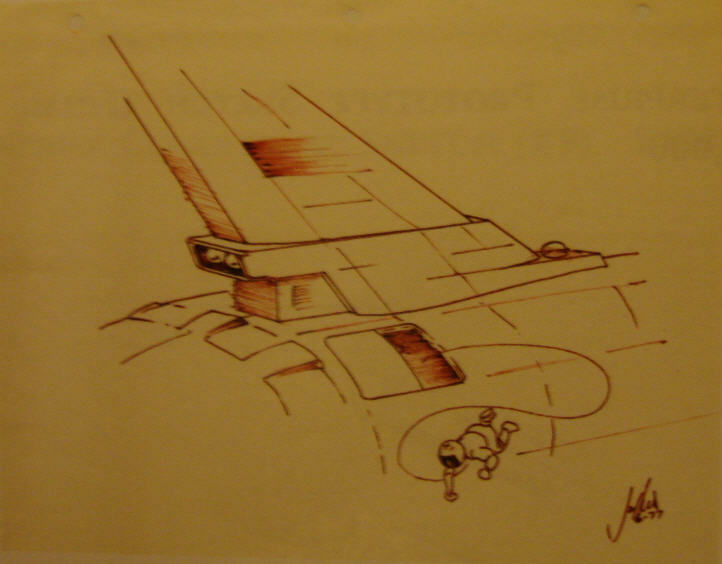 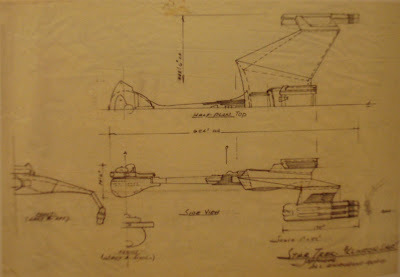 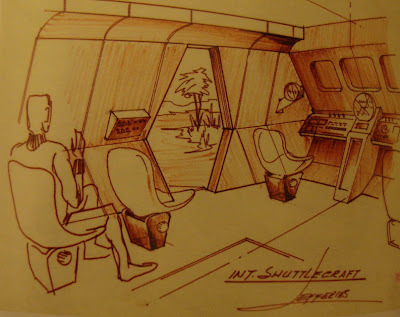 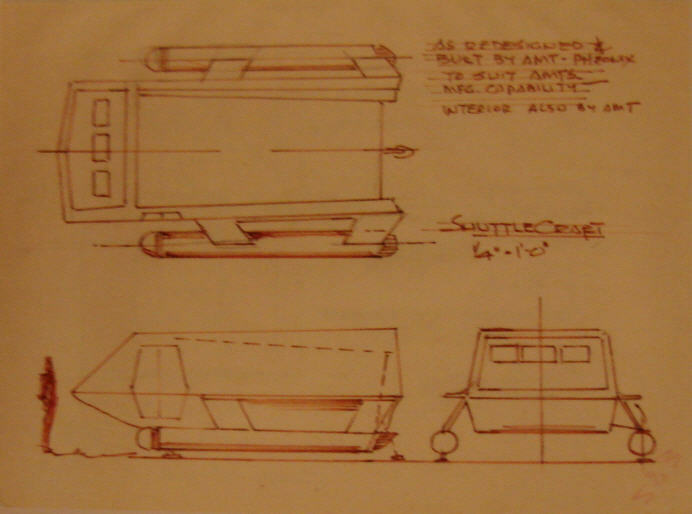 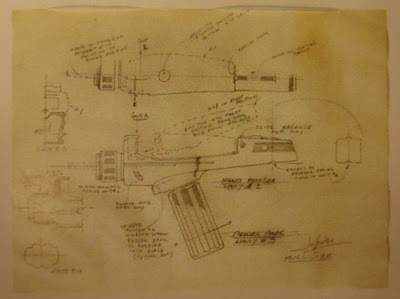 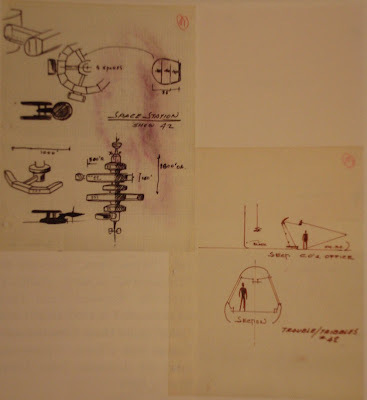 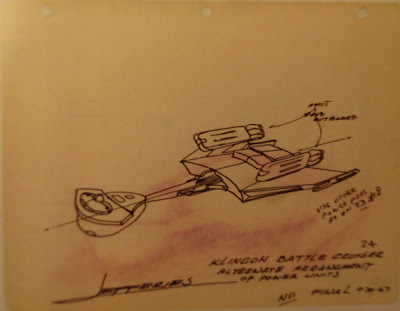 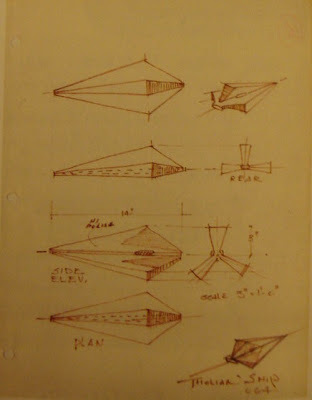 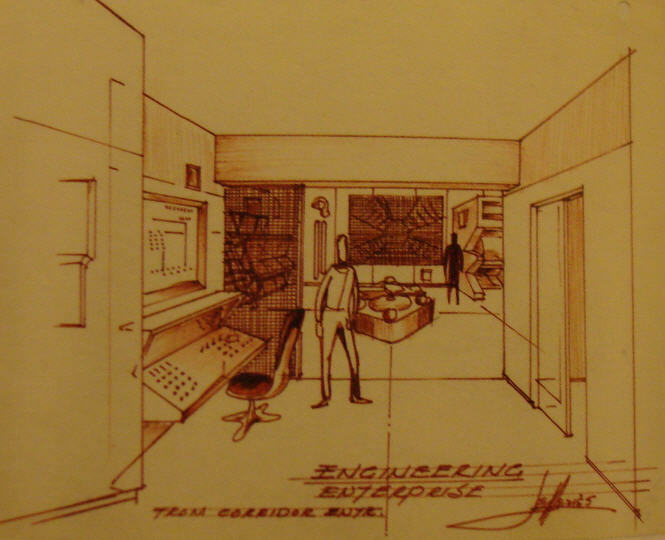 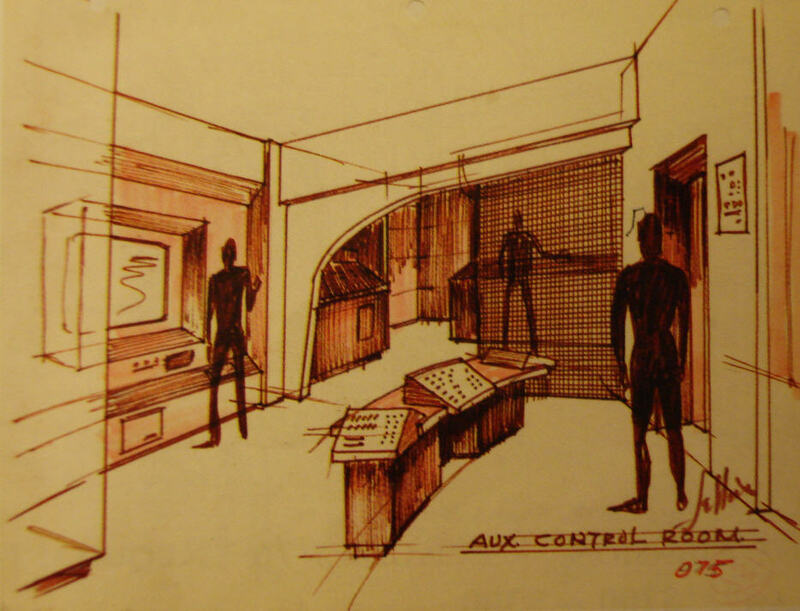 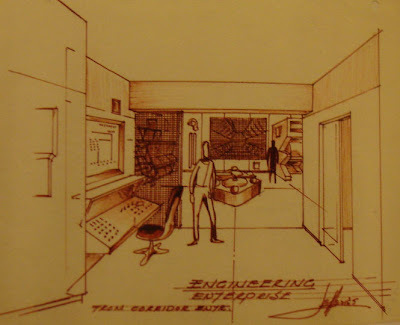 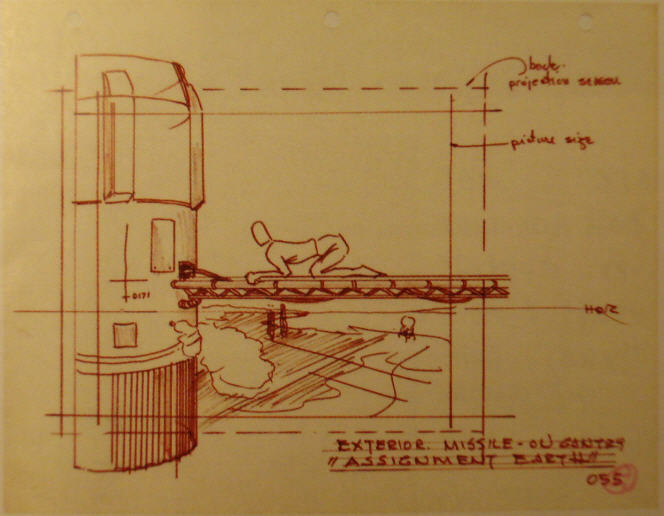 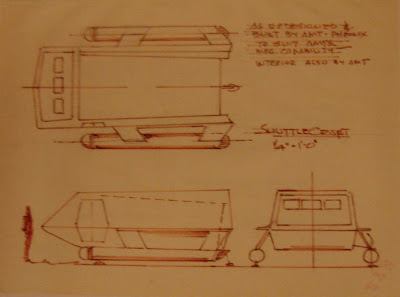 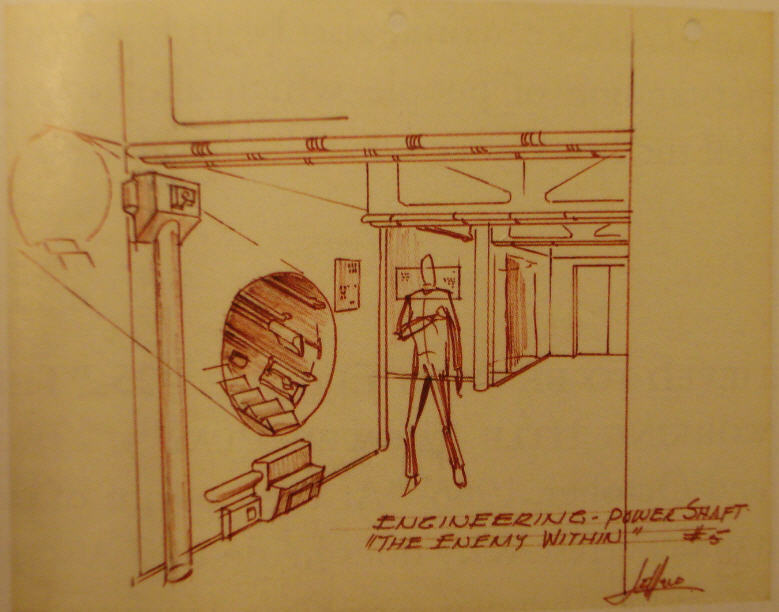 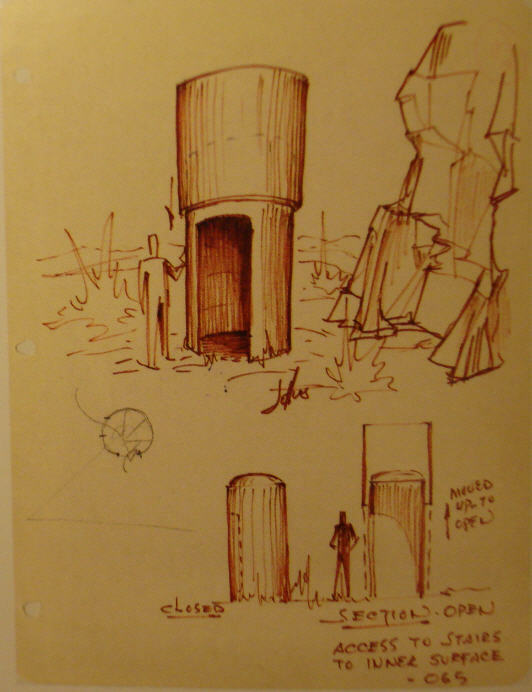 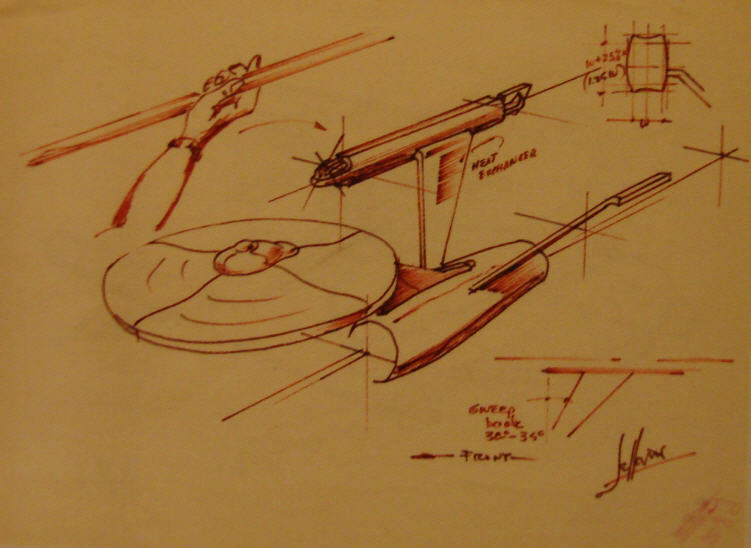 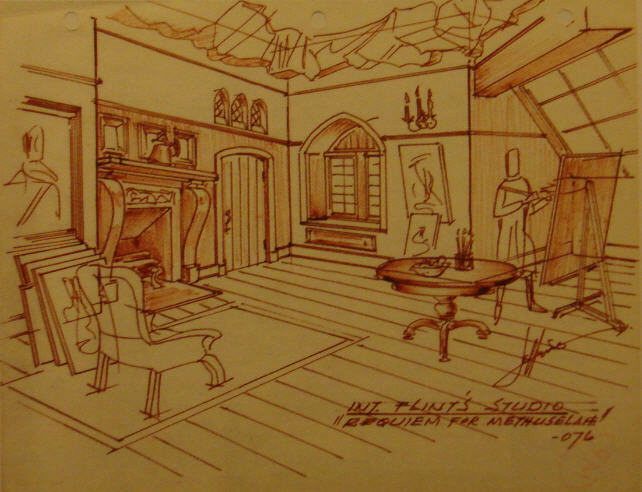 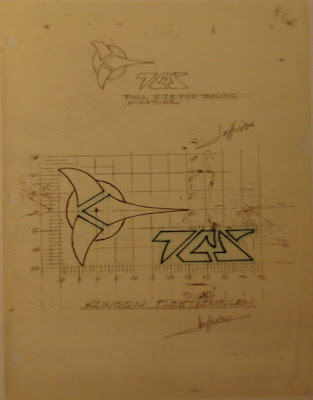 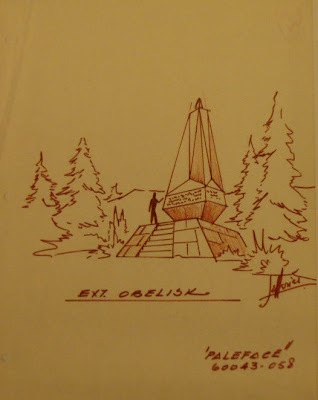 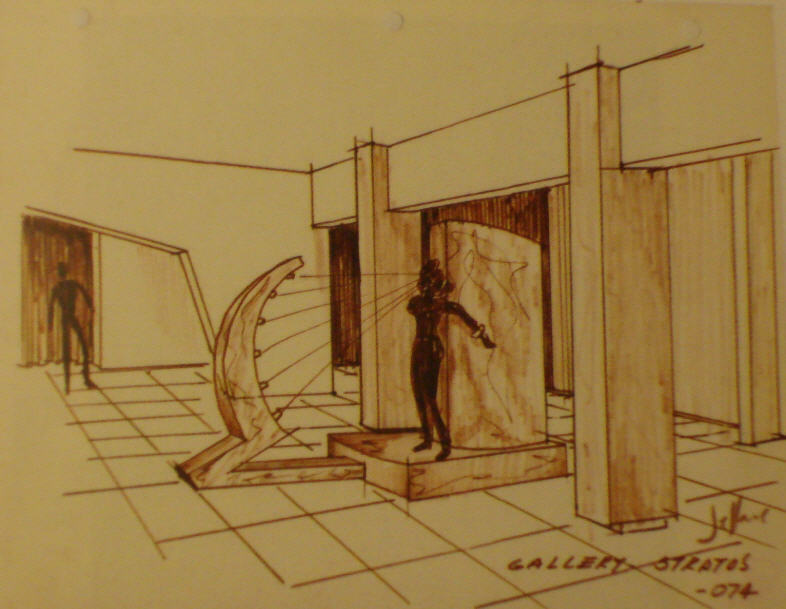 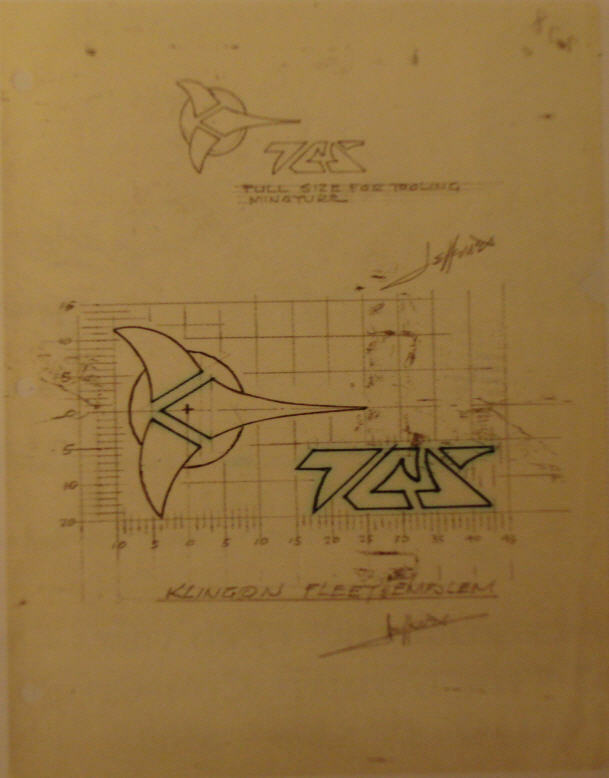 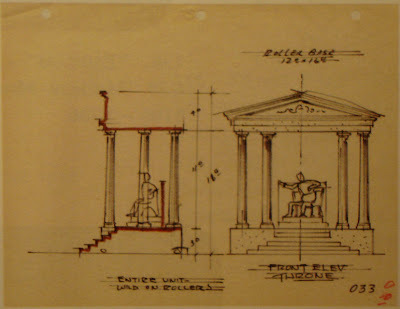 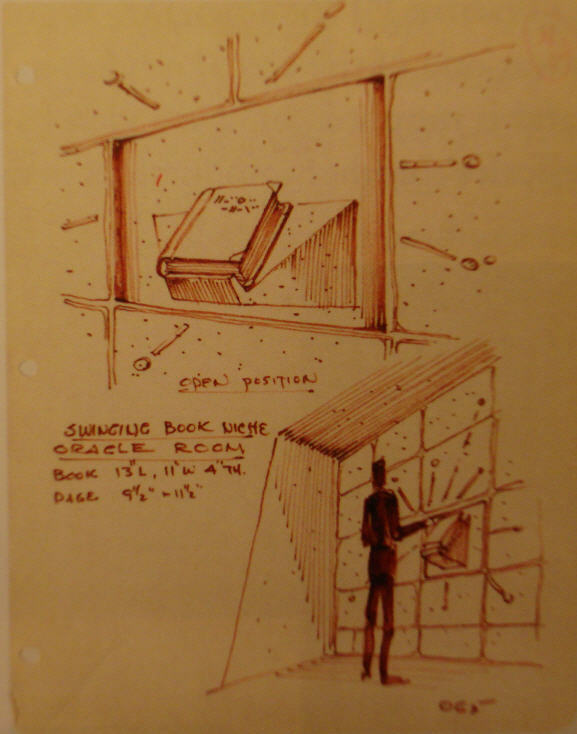 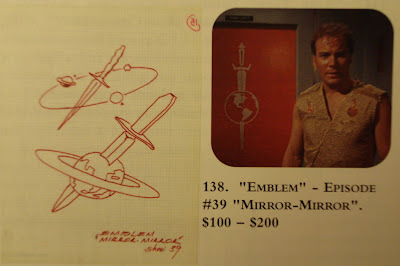 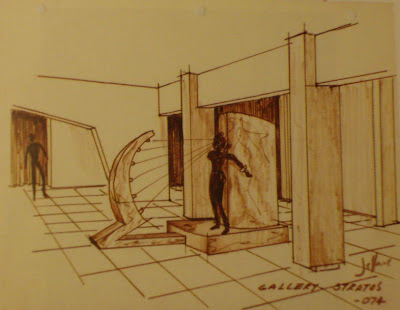 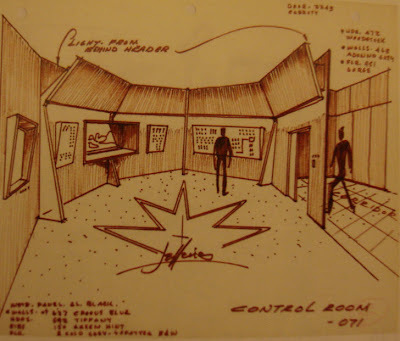 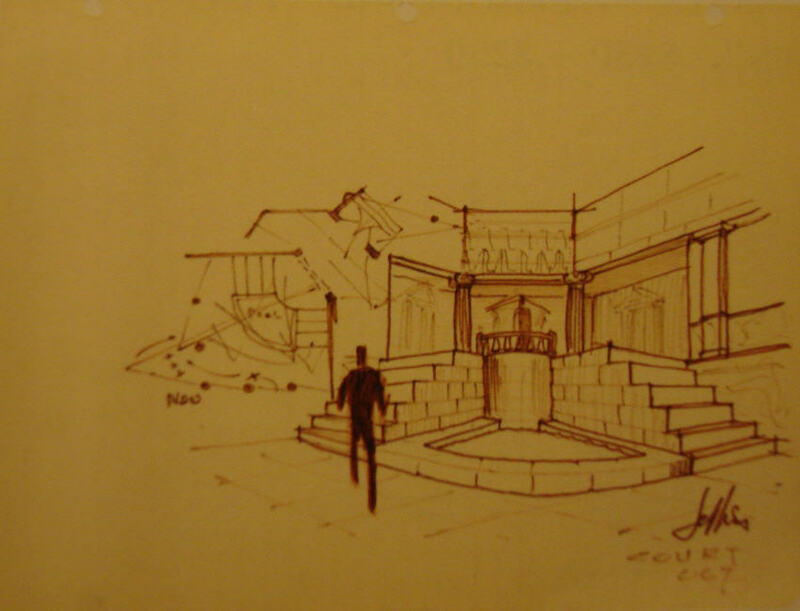 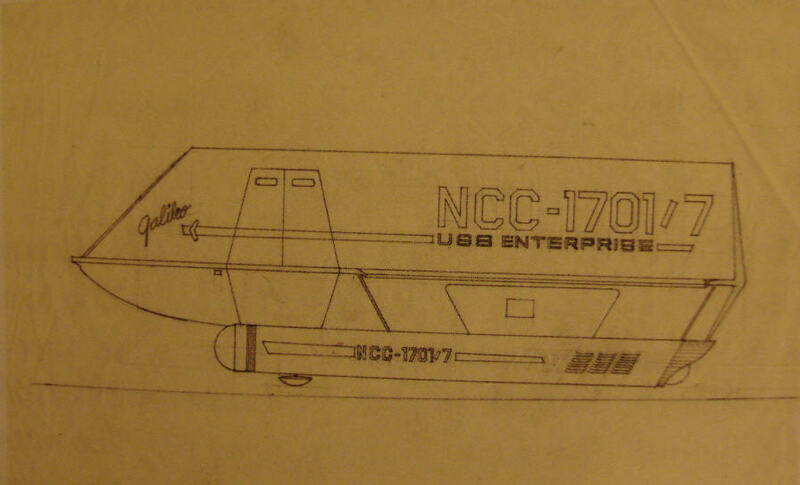 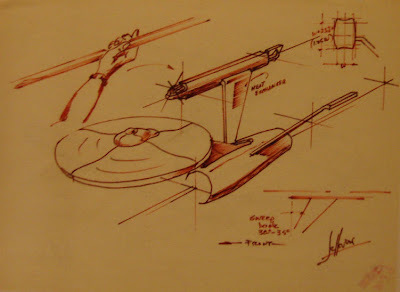 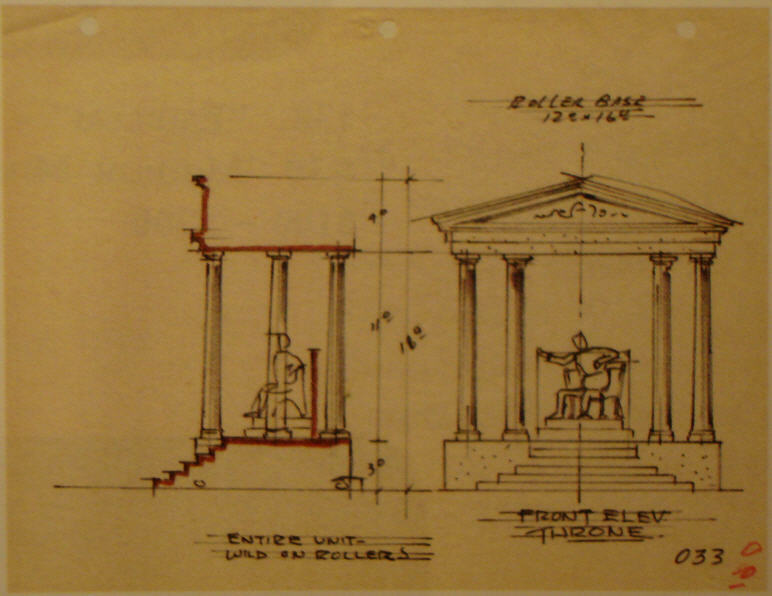 On December 12, 2001; Profiles In History held "The Star Trek Auction Featuring the Collection of Art Director Matt Jefferies", which included many original drawings and concept sketches made by Matt during TOS production. 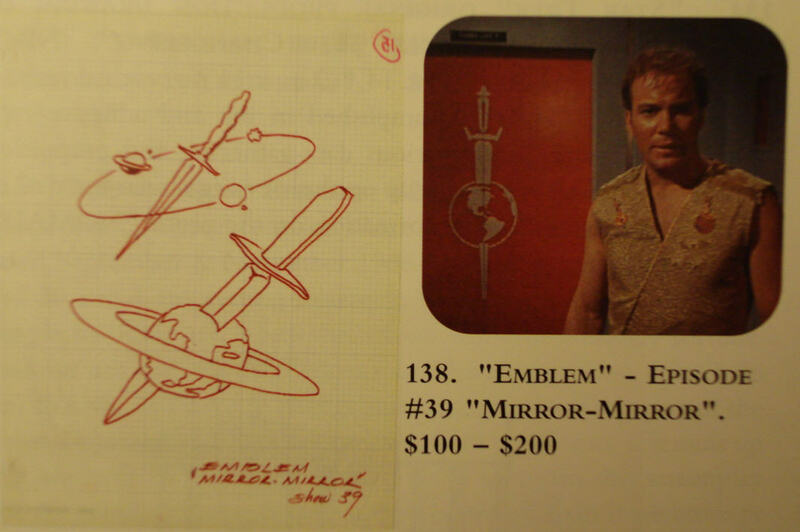 It is from the auction catalog for this sale that many of the following photos were taken. 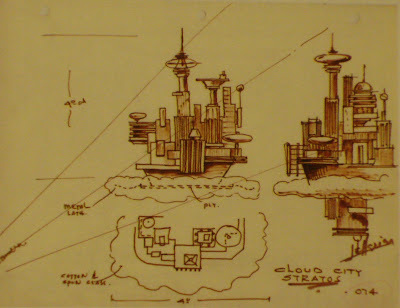 Earlier this year, Richard Jefferies launched http://www.mattjefferies.com/ as an online tribute to his older brother; who passed away on July 21, 2003 at the age of 81. 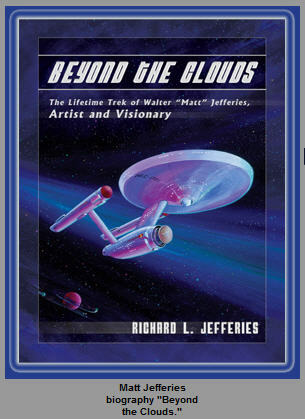 Richard has also authored a 326 page, full-color book entitled "Beyond The Clouds", which was released just 3 months ago and contains over 200 images that tell the story of Matt's life as no other publication can. 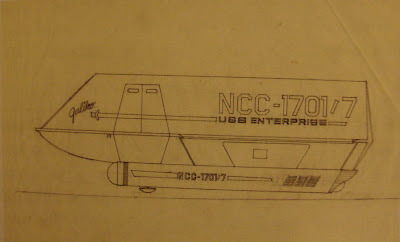 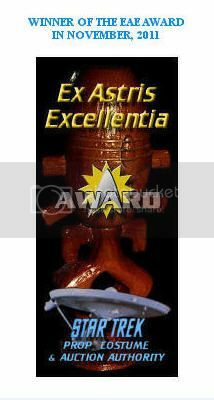 The book cover, shown as the final photo in this post, presents an image of the Starship Enterprise in flight from an original painting by Walter "Matt" Jefferies. 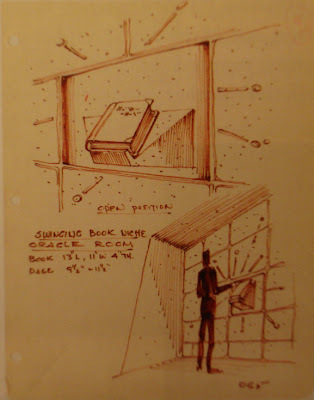 Richard's book may be ordered through the site.